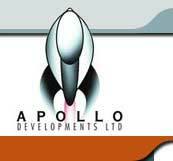 Apollo Developments Ltd is a UK-based company that specialises in transforming disused, brownfield sites into modern commercial property developments. Apollo has developed the 6.5-acre former site of the North Oxfordshire Ironstone Company’s headquarters and railway locomotive yards at Wroxton, near Banbury into a limited number of modern, small-business office units. Apollo has recently completed a project to transform a 2.5 acre former scrapyard site into a modern factory park. For more information, view the details in each section on the website.